As our population grows older and the average lifespan continues to increase, therapies that improve the quality of life and independence of older patients become increasingly important. Physiotherapy is being utilised more often now to help with management of arthritis, risk of fall injuries and osteoporosis .The National Health Survey shows that Arthritis affects 48% of people aged 65 years and above. To manage arthritis pain and the associated fatigue and disability, health care providers commonly recommend light strengthening exercises and low impact aerobics. However, research shows that fear of self injury and a limited knowledge about safe exercise prevents a majority of arthritic patients from performing much needed activities. Another interesting statistic is that more than one third of seniors aged over 65yrs suffer a fall each year, and that 20-30% of them sustain injuries that are serious enough to limit mobility, reduce independence and in more serious cases increase risk of premature death. Exercises which encourage balance, proprioception and some general strength have been shown to be effective in reducing the risk of falls. Osteoporosis affects one in three women and one in twelve men over the age of 50. More than 53 randomised trials covering thousands of patients now demonstrate the effectiveness of exercise therapy in improving bone health, reversing the effects of osteoporosis, and enhancing the benefits of medications to boost bone density. The wrong exercises, however, can prove to be ineffective or harmful. 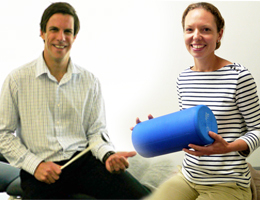 MGS Physiotherapy offer Hydrotherapy Classes at the Mona Vale Hospital pool, and specific Physiotherapist supervised Clinical Pilates Sessions in our Manly Rooms, both of which are able to address many of the issues mentioned above. Speak to your GP or Physiotherapist if you think you could benefit from attending, or alternately ask your Physiotherapist if they could prescribe you a program of exercises to be followed at home.